When the leaders of your organization sit down to talk strategy, where does that discussion usually begin? If you’re like most organizations, there is a good chance it begins with a tactical approach to accomplishing a specific goal. Questions like, “Should we do more social media marketing to increase attendance at a conference?” or “How do we engage lapsed donors?” tend to dominate strategy discussions at small organizations. The answers to those questions and others like them are obviously important. A good social media marketing strategy to increase event attendance will have a direct impact on your bottom line. So will figuring out how to engage lapsed donors. Are you structuring your organization in a way that allows your leaders to make the most of their talent, experience, and abilities? Is your CEO or Executive Director doing work that should be delegated to someone else on the team? Are staff duties aligned in an efficient and effective way? How are you using your board of directors? Are you wasting the time of talented volunteers on routine processes? Small organizations typically don’t have the time or capacity to look at who is doing what (and why), especially if the work is getting done—albeit in a messy and inefficient manner. Over time though, those inefficiencies add up. An organization that could be doing a lot of great work on behalf of its customers and stakeholders ends up barely hanging on, simply because it hasn’t thought strategically about how its leaders are spending their time and energy. When that discussion does happen, the first place to start is with your board of directors. By their nature, boards are made up of very talented and accomplished people who are willing to give their time (and often money) to further your mission. That’s a big sacrifice on their part—and a big strategic asset for your organization. And, the sooner your organization starts treating your board of directors like a strategic asset, the closer it will get to achieving its strategic goals. Treating your board like a strategic asset begins with a realization that the time your board members can dedicate toward your organization—and the time staff can spend on board meetings, committee meetings, and governance-related issues—is finite. In other words, you need to make the most of your time, your staff’s time, and your board’s time. The time spent preparing meeting binders is time you could spend creating a marketing plan that helps your organization grow. The time you spend going back and forth with board members about agendas and minutes preparation is time you could be brainstorming on new ways to engage lapsed donors. 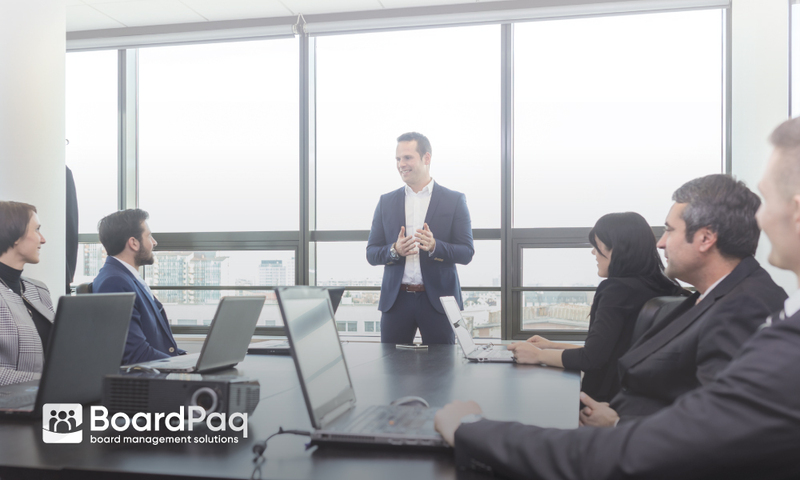 By taking a strategic, efficient approach with your board of directors and their time, your organization is taking a strategic approach to management that begins at the very top of your organizational chart. And BoardPaq is here to help you do that. On furthering your organization’s mission, and making good things happen for all of your stakeholders.